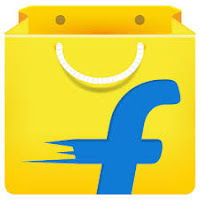 What is Flipkart Gift Cards : You can sent flipkart gift voucher to your friends,relatives.You can Buy any product available in flipkart with Flipkart Gift Vouchers.Also You can convert flipkart Gift Vouchers into Flipkart Wallet Balance. Benefit : You will get worth 7500 gift voucher in just 5750 which you can use to buy any product in flipkart. 5.Pay the amount with SBI Debit Card or Credit Card Only. 6.You will get 10% off (maximum 1750 discount). 7.Voucher Number and Pin will be sent to your email. 1.This offer is valid from 14th October,2015 00:00hours till 14th October,2015 23:59 hours. 2.Minimum Transaction Amount is 7500 to avail this offer. 3.Discount valid on pay the amount with SBI DC/CC Only.Not valid on transaction with net banking.